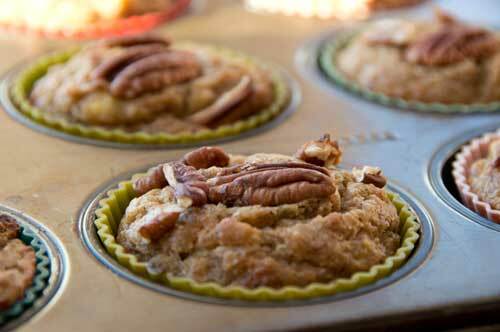 Here is my version based on the Paleo Banana Nut Muffins. There is no need for a mixer for this recipe. Pre-heat the oven to 375 degrees Fahrenheit. On a separate bowl mash the bananas, add beaten eggs, coconut oil. Mix well so that the coconut oil clumps are smaller. Add the vanilla extract. Mix the dry and wet ingredients. The batter will be more runny than a traditional muffin batter. Wait a few minutes as the coconut flour absorbs the liquids. Use an ice cream scooper to put in silicon muffin cups. Add the pecan halves on top. Bake for 20 minutes. Cool. 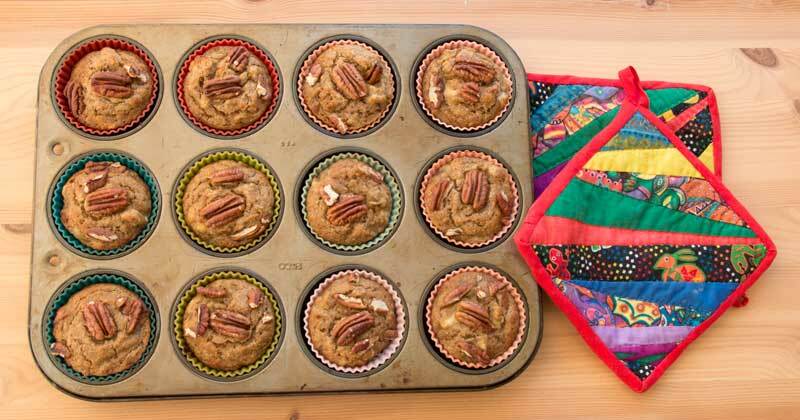 I use silicone cups for these muffins as it makes it super easy to take the muffins out. It’s blueberry season! 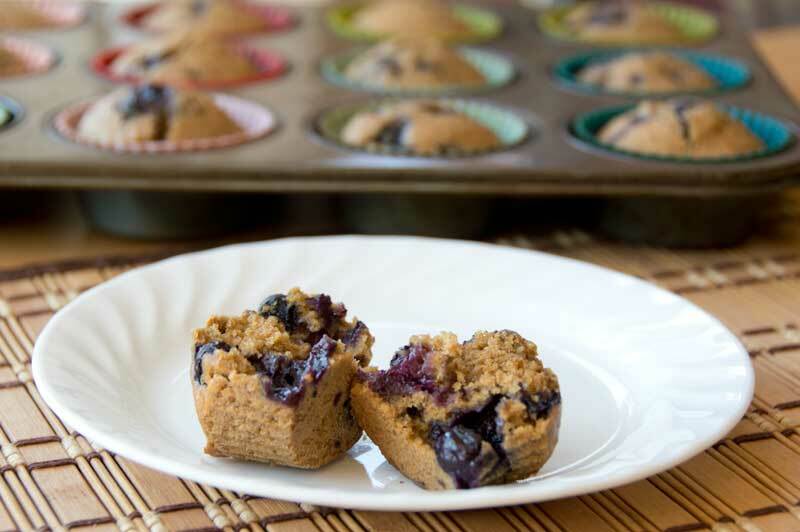 No matter what time of year, this quick and easy blueberry muffins are a great snack or breakfast on-the-go alternative. 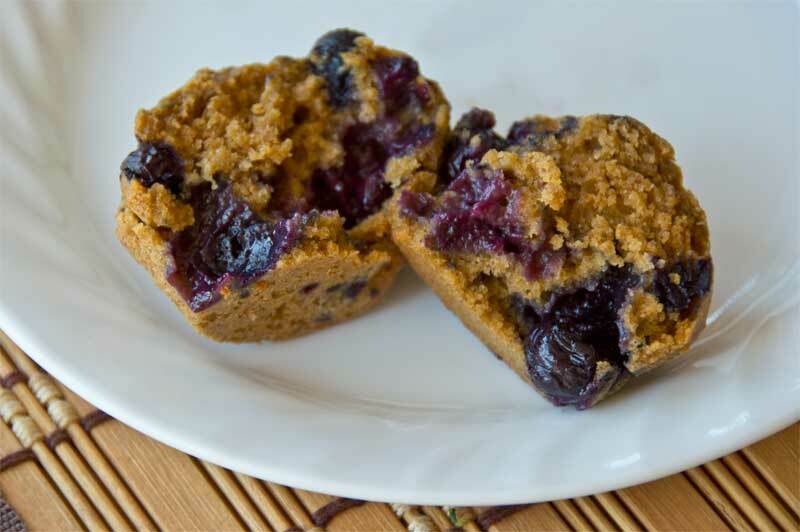 You can make these blurry muffins using fresh or frozen blueberries. Super simple to make with only one bowl and a 2-cup measuring cup to use and no electric mixer required! What could be simpler? Pour the wet ingredients to the dry ingredients. Mix until just blended (do not over mix). Fold in 1 1/4 cup frozen or fresh blueberries. Use an ice cream scooper to spoon into silicon muffin cups or liners. Moist muffin with plump blueberries. These muffins have a great texture with minimal mixing of the batter. It can easily be frozen after baking. It’s great with a little dab of butter while still hot or pair it with a slice of cheddar cheese for a satisfying snack. 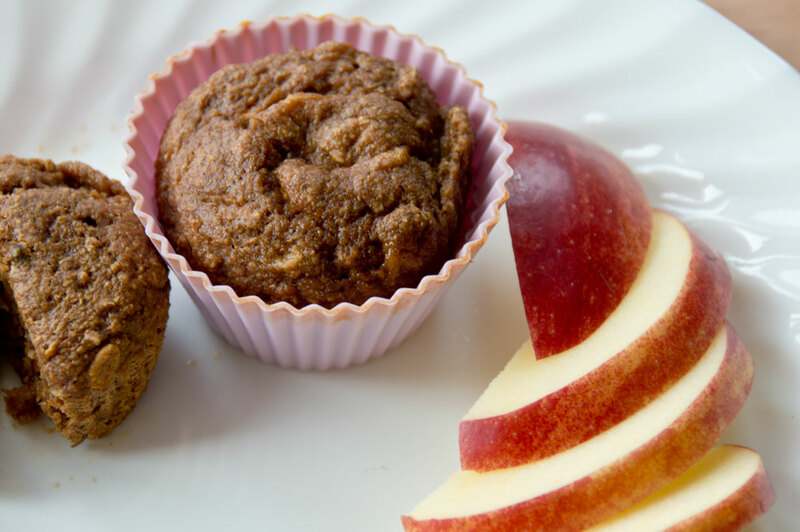 Here’s a healthier version of a snack muffin with a few options to make it gluten-free, egg-free, or dairy free also. It is very easy to make, kid-tested recipe, with no mixer required. Enjoy it warm, fresh from the oven, freeze it as a quick snack. It is a quick and easy addition to school lunch. A perfect alternative breakfast on-the-go for kids and adults. 6 – 8 dried chopped dates – Option: to add more sweetness if desired. Mix the wet ingredients together. Mix the dry ingredients together. Mix the dry to the mixed wet ingredients. Scoop onto silicon muffin cups using a regular ice cream scoop. Bake in 360 degree oven for 12 minutes or check with a cake tester. Yields 18 muffins. Serve with sliced apples or pears. Use reusable silicon muffin cups for easy removal. The lack of additional oil in this recipe, may make using paper muffin liners difficult to remove. When checking for doneness using a cake tester, you might find bits of mashed banana on the cake tester. Make sure you test on another area. Use a clean coffee grinder to mill small batches of oats into flour.